Shane has studied and worked from NYC to the UK with the best in the business. In addition to being the CEO for The Acting Studio and its conglomerates, Shane also serves as the Producing Artistic Director for WaterTower Theatre, one of the top three professional theatre companies in North Texas. 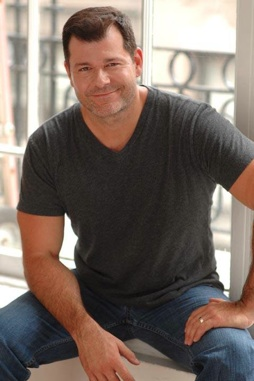 Shane previously served as Producer for Lyric Stage for five seasons. Shane is a proud member of Actor’s Equity Association and has performed leading roles across North America and Europe, including Broadway. He has also done many commercials, played a leading role in the first ever high-definition television pilot, “Texas Tales and Legends” with Barry Corbin, and Dr. T and the Women starring Richard Gere and Helen Hunt. Shane continues to perform, direct and produce with many of the local theatres in the area. Prior to opening the Acting Studio in 2009, Shane taught at the WaterTower Theatre, Lifesong Studio, and the Springer Theatre Academy in Georgia, among many other theatres and studios around the US. Still his greatest accomplishments have been finding and marrying his beautiful wife and soulmate, Erica, and being “Daddy” to his little girl, Isabella, and baby boy, Rhett.